Even though it's not exactly sweater weather in California, we're dreaming of Sundays spent by the fire, cozy knit scarves and the smell of wet leaves. Sigh. NYC-based Bocce's Bakery's new Sunday Roast biscuits makes us think of all of those things. (It also makes us really miss New York, *sniff*.) 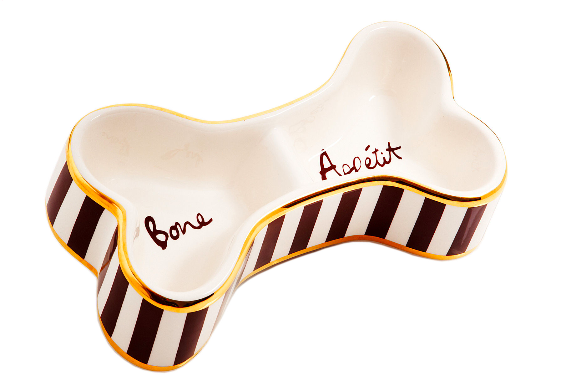 These all-natural organic biscuits include 100% USA roasted chicken, fresh rosemary, and carrots in one tasty bone-shaped treat. 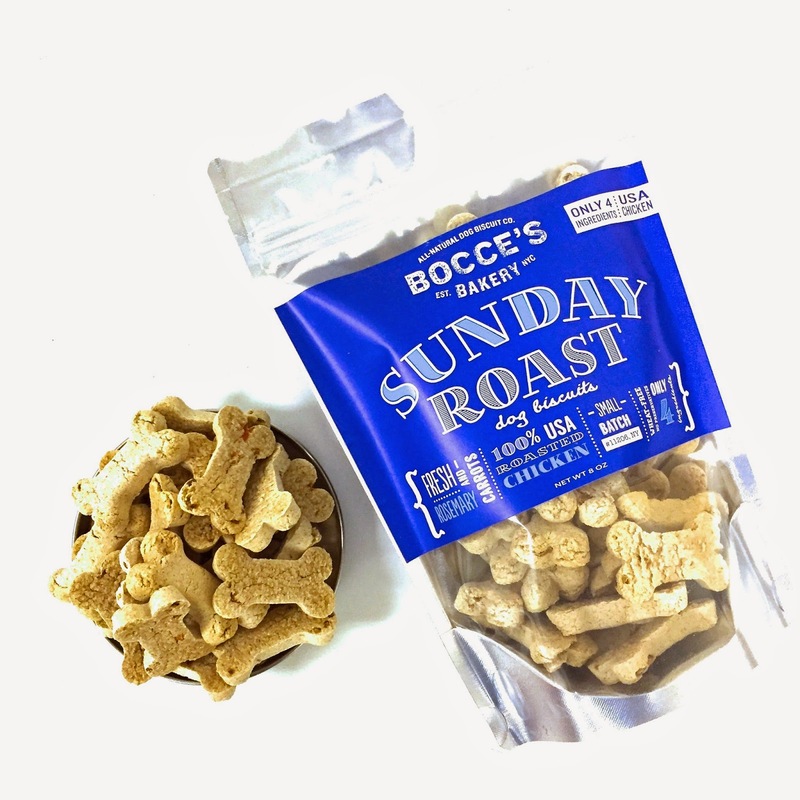 Paddy is a huge fan of all of the treats from the Bocce's Bakery line, and we can't wait to get our paws on a bag of these yummies. Available in 5oz bags ($9.50) or 8oz biscuit tins ($15.50) from the Bocce's Bakery website. 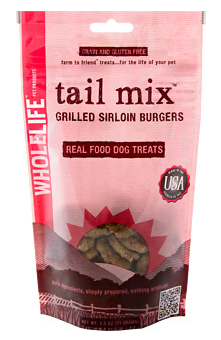 However, the ONE treat that never goes turned down are TailMix's Grilled Sirloin Burgers. Grain and gluten free, these treats are basically freeze dried little patties of USDA certified hormone free ground beef sirloin from Washington state. Made in the USA, you can serve them as is, crumble them on top of your pup's food or even rehydrate for a softer texture. While Paddy is a big fan of the flavor (I swear she can hear the bag open from across the apartment), we love the transparency into what is in these treats. They're also the perfect size for special rewards (a little bit bigger than a quarter, but smaller than a half dollar). We were going to try and take a photo of Paddy with said treat to provide a sense of size… but she was overwhelmed by the deliciousness before we could snap a pic. Available from national pet stores and online from Chewy.com. One bag lasts us about a month and a half. Kickstarter is one of our favorite things, and we can always rely on it to deliver products we didn't even know we needed to our inbox. 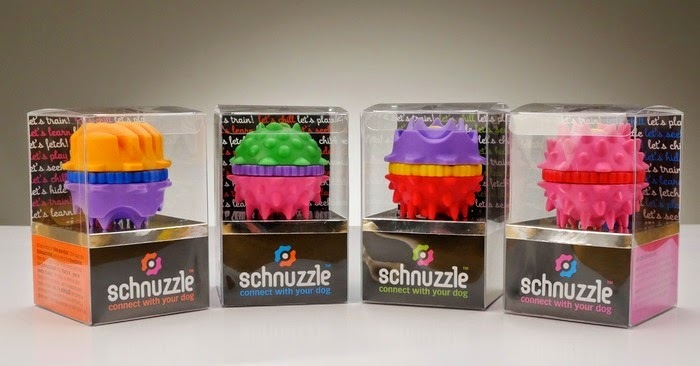 Recently, we got pinged about a new project out of Australia called Schnuzzle. 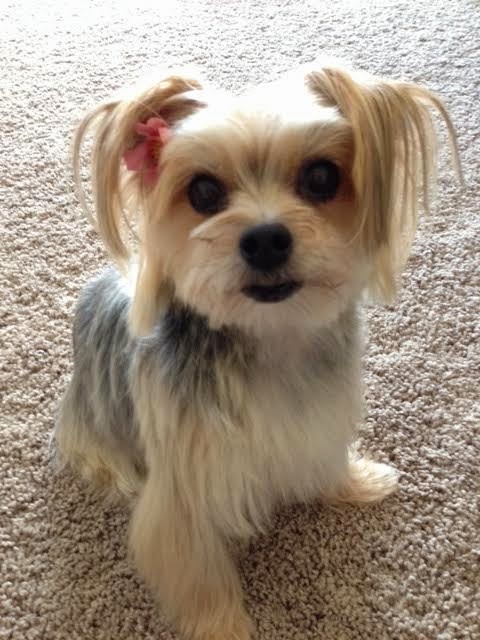 Instead of rewarding your pets with treats, pets playing with Schnuzzle get a burst of delicious dog-friendly scent. While we're on the fence about whether this is actually as satisfying as the folks at Schnuzzle suggest…. we like the concept and the way the Schnuzzle looks. While the project is being driven out of Australia, there is free-shipping for all those backers based in the USA. We also are big fans of the fact that all parts are being made in Australia or the USA. Head over to Kickstarter and check it out! 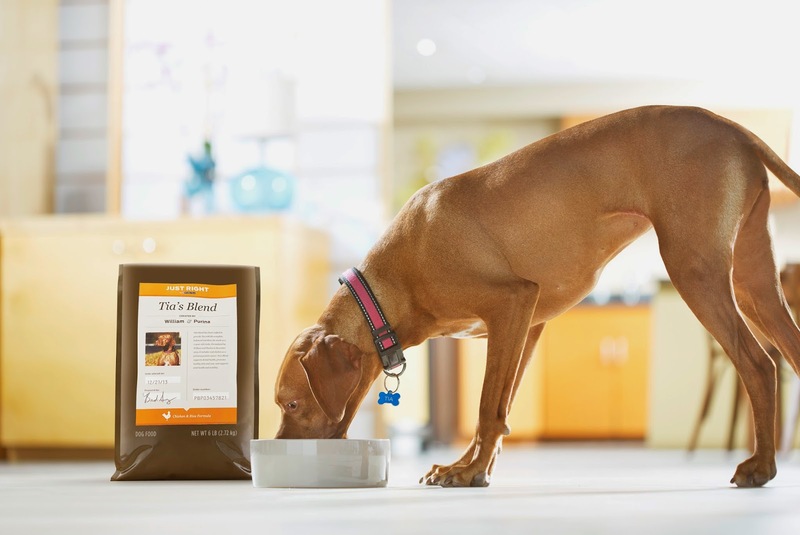 We were recently invited to blog about the latest innovation in pet nutrition from Purina. Introducing, Just Right by Purina - a personalized dog food that combines an owners' first-hand knowledge of their dog and Purina's nutrition research to create the perfect blend to meet your dog's needs. Using information gleaned from specific questions about your dog's age, activity level, health, and body condition, Just Right by Purina then delivers your pooch's custom kibble straight to your front door. For those pets that have grain or protein sensitivities, owners can also note this- taking the guess work out of what really byproducts could be going into your dog's food. So, how does it work? It's super simple - head over to JustRightPetFood.com and create a profile for your pet. 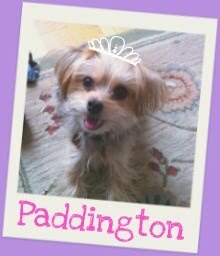 Next, answer questions about your dog to create your personalized blend, and voila! If you have any questions, Just Right by Purina has live experts on hand via online, chat or email to help. As a pet parent who pays close attention to what her pup eats, I personally love the idea of knowing what -exactly- is in Paddy's kibble. We love that Paddy's specific needs can also be taken into account, and you can customize each order if necessary (ex. in winter we fight dry skin more frequently). Also, did we mention that all Just Right by Purina custom blends are made in the USA? Yup- in Iowa! Starting at $24.99 for a 6lb bag (which is on par with the cost of most high-end dry dog food), shipping is included and owners can setup auto-fulfillment. We are definitely looking forward to checking this out in more detail (as of now I'm traveling on the road for work a lot, so we're not going to mess with Paddy's current diet). What do you think? 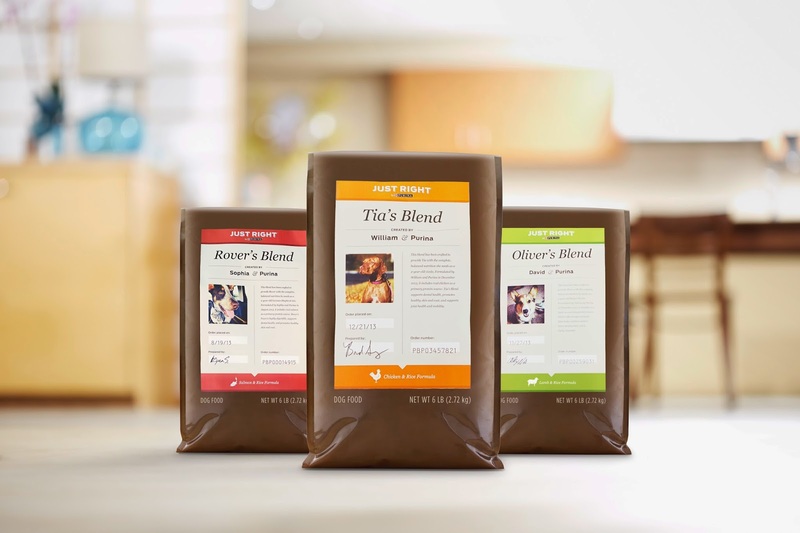 Is a custom blend of dog food something you'd do for your pup? Seriously? What the heck is this? Does your dog have a furry face? Yes? 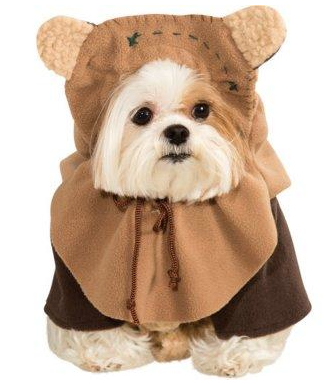 Well then this Ewok costume might be right up their alley. Available across the web, but we found it at Amazon.com. Nothing is more bizarre than animals dressing up as other animals…. 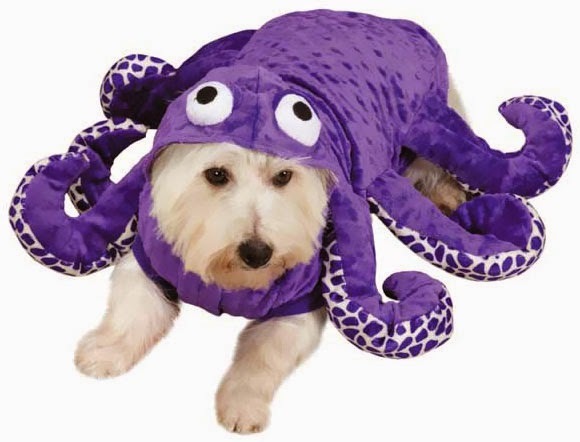 thus there is a special place in our heart for this Octo-hound costume. Also ringing at less than $20 on this site, it's not going to break the bank. 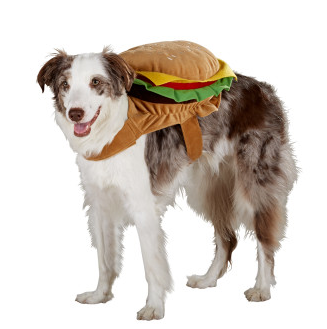 This costume, is unfortunately sold out, but is probably one of the greatest Howl-o-ween dog costumes we've seen. Yes, that's a piñata. Doubtful that t will come back into stock before Halloween, but we found it online here. 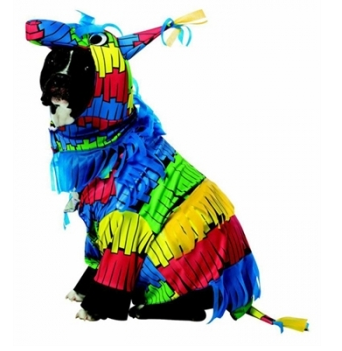 For those that are crafty, there's also a great DIY post on this blog on how to make your own piñata costume if you are that way inclined. Sherlock Hound is just too adorable for words. A little on the pricier side, but it's pretty cute. 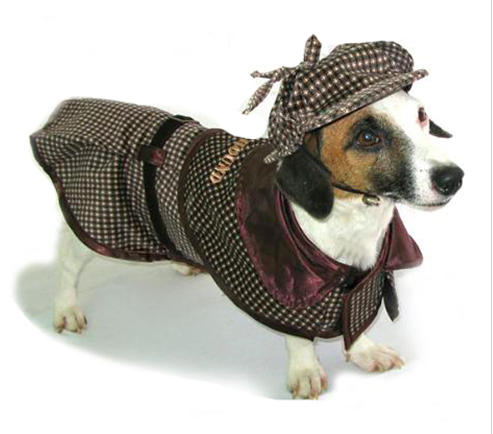 Is your dog dressing up this Halloween? What has inspired you? Believe it or not, dog friendly beaches in the Los Angeles area can be a little hard to come by. While the California coast is basically one giant beach, there are really only two spots to check out if you want to soak up the sun with your pup. As Paddy has never been to the beach before, you can imagine that this was at the top of our "things to do" list, and thus we headed to Leo Carrillo State Park on a recent sunny weekend. Despite the large number of people (and dogs), we were impressed at how clean the beach was; everyone was doing a nice job of picking up after themselves and their pooches. LOTS and LOTS of dogs - big dogs, small dogs, fluffy dogs... they were all there and having an awesome time. In fact, almost everyone we saw at this part of the beach had a dog in tow. The beach is by no means huge (in fact it's definitely narrow), but there was more than enough space for everyone to lie out, play in the water, etc. Though Paddy was not super keen about the ocean, she had a great time playing in the sand and meeting some of the local dog pack. Cost: Parking was less than $15 which is a steal, especially if you're planning on spending all day at the beach! Amenities: There are public bathrooms, but we did not see any places to purchase water, etc. so make sure to bring everything with you! There were a lot of folks BBQing and tail-gating, so check out the website for details as to what's approved. Look at that glamour puss! Greetings from CA! Yup, we made it and we missed you too! Things have been super quiet on the blog of late as we have spent the last few months focused on packing, moving and getting settled, so thanks for your patience! 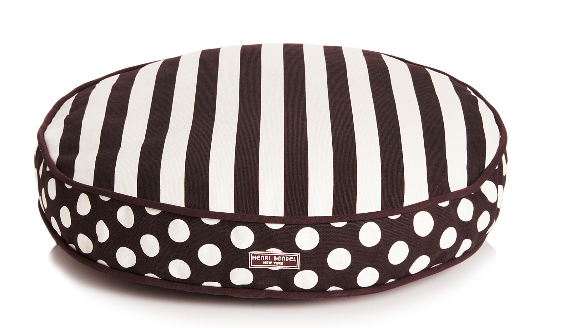 Though we are desperately missing NYC (especially since it's our favorite season, Fall), a new city has meant lots of super fun adventures and finds for the urban canine in our life. Keep your eyes peeled for lots more great stuff and some Los Angeles-local reviews.